Small projects are a great way to take a break between larger more involved projects. We like to think of these as little knit and crochet snacks--small, satisfying, quick and easy. A good small project will cleanse your palette and leave you feeling successful and ready to take on a bigger more challenging project. Today we have rounded up some of our favorite quick and easy knit and crochet patterns. And better yet, all of these patterns are available for free on Ravelry! A lovely simple shawl recipe perfect for using up stash! Hats for the whole family! 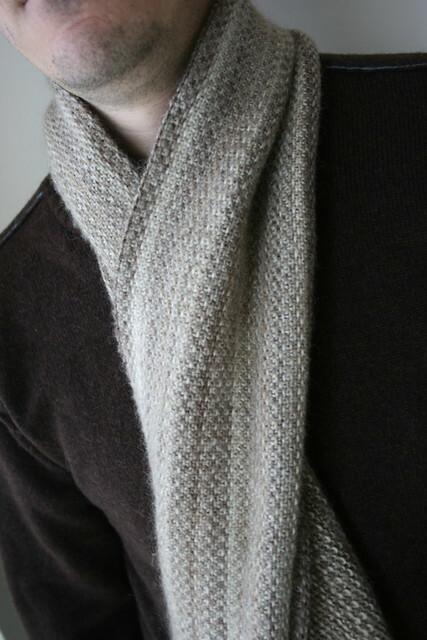 A perfect gender neutral scarf in linen stitch. This pattern is great for variegated yarns. 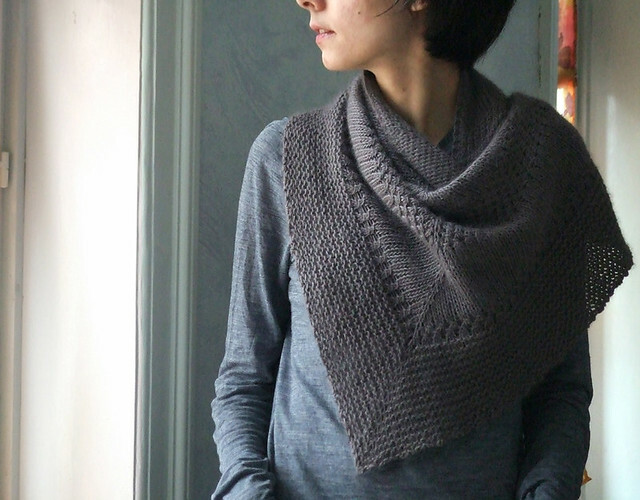 If you're a spinner or have a skein of thick and thin knit up this quick and easy cowl. 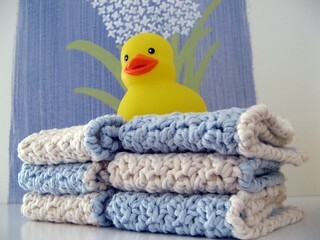 Washcloths are useful and also make great gifts. While warmer weather is still yet to arrive in most places keep your hands warm with these lovely cabled hand warmers. 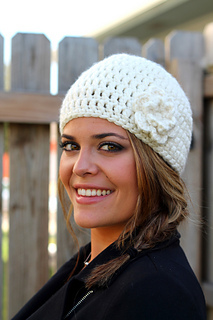 This crochet hat is perfect for transitioning into spring. Get a head start on the warm weather with this hat. Have you knit or crochet any of these patterns? Or do you have a favorite quick and easy pattern you'd like to share? Leave a comment telling us! Congratulations to Cheryl G, you're our lucky winner! 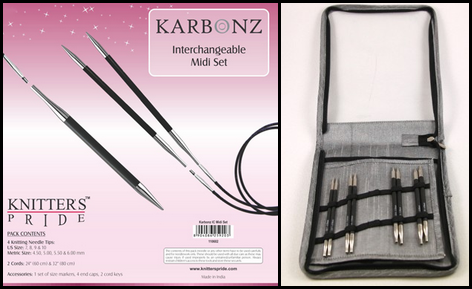 We'll be in touch to arrange delivery of your Karbonz Midi Interchangeable Needle Set. Thanks to everyone who participated. Allyson Dykhuizen is an American knitwear designer and knitting teacher based in Chicago, IL. Her patterns have been published in Interweave Knits, Knitscene, and knit.wear magazines, among others. 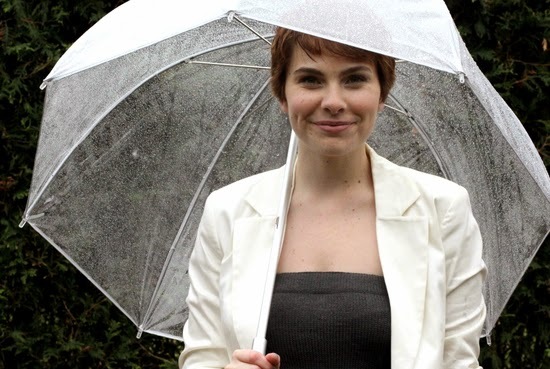 Her fun, fashion-forward approach informs both the design she self-publishes and blogs on her website The Sweatshop of Love, along with those of Holla Knits, an online knitting magazine which she created and edits. Knitter's Pride has donated prizes to the Holla Knits KAL which is currently underway; you can follow Allyson on Twitter @AllysonKnits, the Sweatshop of Love on Facebook, and AllysonDykhuizen on Instagram, and email her at allyson@thesweatshopoflove.com. How long have you been knitting, and how did you get started designing? I learned to knit when I was a senior in high school, so 13 years ago now! I learned and just never wanted to stop knitting. I started teaching in 2006 and quickly discovered I wanted to design patterns to make it easier to teach my students certain techniques and skills, so that's what inspired me to start designing. From there I started designing for magazines and independent publishing. Where do you get inspiration? I love looking at fashion-y pieces and trying to figure out how to make that piece with knitting. I also like to take a challenge, like working in drop stitches or horizontal cables, and building a sweater design around that. I rarely go a day without searching for inspiration and other knitwear designs around the internet! Other designers are a great inspiration for me, too. How did Holla Knits come about? The knitting industry doesn't think you can be an advanced knitter without having been knitting for 30+ years. I've been knitting for 13 years so I know what I'm doing, but all the 'fashion forward' or more youthful designs are easy patterns. So I started Holla Knits to fill that hole in the industry. It's fashion forward, challenging knitwear design with a focus on building that community. 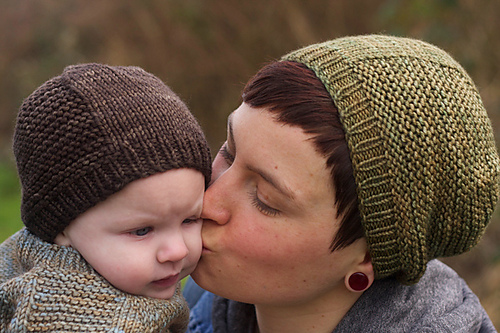 How do you balance your own design/teaching/blogging career with curating Holla Knits? Umm I don't really! But I think that's ok. It all kind of goes together and builds and thrives together. I put too much into building Holla Knits, so I was having a hard time just worrying about my own designs and working on my own stuff. 2015 will see me taking a small step back from being so wrapped up in Holla Knits and a small step forward with my independent design, and teaching. Speaking of time management...in addition to knitting, you also crochet, embroider, and sew (are we leaving anything else out?). Do you have any helpful hints for ways to maximize crafting time for those who are pressed for time? Hahaha no I think you got everything! I do embroidery, cross stitch, and sewing as hobbies, where knitting and crocheting are my job because they help me make money, and this is an important distinction for me because I'm a workaholic who is constantly working on finding a work/life balance. I know I can't sit and do nothing. I just can't! So when I need to take a break from working I pick up a cross stitch or embroidery project - something I can do just for me. Sewing I LOVE but it's impossible just to pick it up for a little while! I clear a weekend and sew my face off for 48 hours. A helpful hint about maximizing crafting time would be to just take the pressure off yourself! I feel like a lot of crafters get focused on PRODUCING, when crafting is about the process, and taking time to do something for yourself. It's not your job to produce, it's your job to take the time to do something you enjoy to make yourself happy. Craft make yourself happy, and do it at your own pace. What are you most looking forward to in 2015? So much! 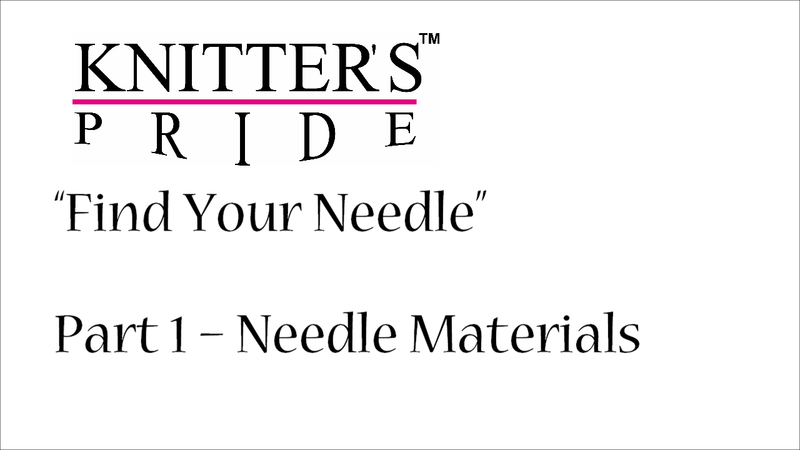 I'm getting back to teaching and will have not only my own classes but other teachers on board to help create a full class schedule for crafters in Chicago. I've got how to videos coming out with CraftDaily.com. I'll be the featured designer in the Knitscene Summer 2015 issue! 2015 is so young, but there is already so much to be excited about for me. Do you have any knitting horror stories/mishaps? Daily! This knitting and designing thing is hard and I'm always screwing up. 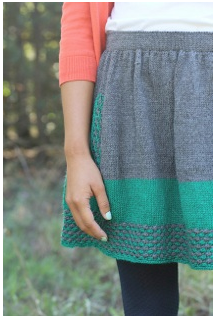 I mess up a lot with Holla Knits, publishing patterns that aren't popular and choosing the wrong colors and styling. It's great when you are your own boss and when something is successful, it's successful because you made it that way, but the flip-side of that is when someone isn't successful, it's unsuccessful because you made it that way, too. I learn ALL the time. I mess something up, I think about it and try to learn something, and I try again. This month, we're giving our blog readers a chance to win a Karbonz Midi Interchangeable Needle Set! To be eligible, make sure you like us on Facebook, then leave a comment telling us what's on your needles or hook right now! Be sure to also include your email address or Ravelry ID so that we can contact you if you win. We will randomly select a winning comment to announce on Friday, February 27. Good luck!